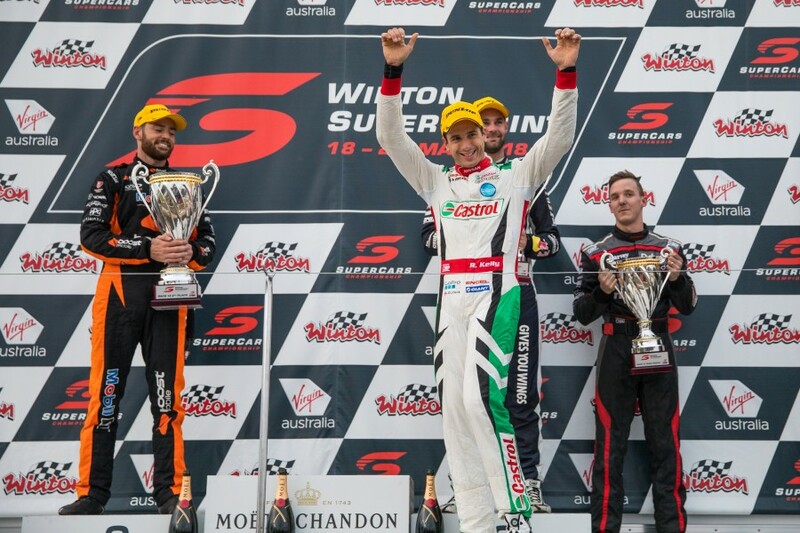 Nissan Motorsport co-owner Rick Kelly says he was “working on the shed” in the lead-up to his breakthrough win at Winton, steering clear of the team’s challenging week. The car company announced on Tuesday it will end its sponsorship of the Melbourne-based team next season, when the Altimas will be fielded under the Kelly Racing banner. Brother and fellow co-owner Todd, who retired from driving at the end of last season, represented the team in the media during the week, with Rick keeping a low profile. 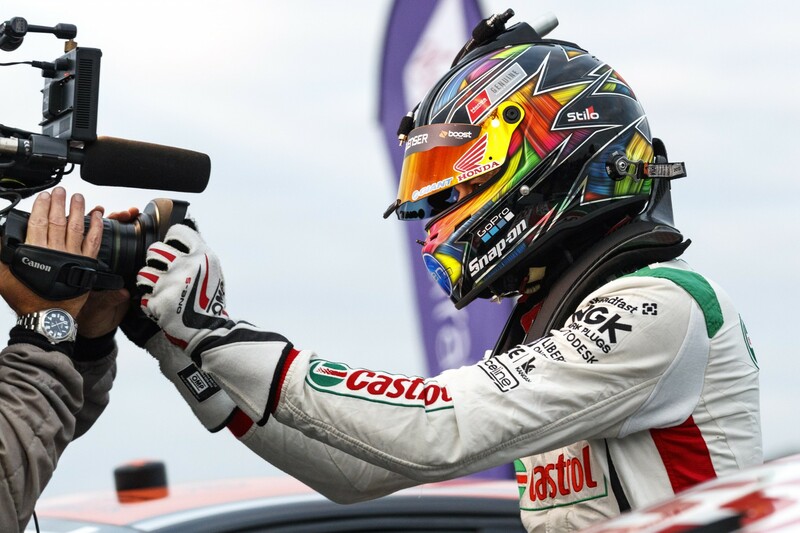 Although unable to escape questions on the topic once at Winton, the 35-year-old said he entered the weekend feeling fresh due to his team’s efforts to distance him from it all. “For the team, it’s different for everyone I suppose,” he mused after ending a 210-race winless streak, which dates back to when the team was still fielding Holdens in 2011. “For myself it was almost a little bit of a relief that the future is now open and we can concentrate. “Todd and Nick [Ryan, commercial manager] have done an incredible job of removing myself from a lot of the hustle of meetings behind the scenes. “I spent a couple of days working on the shed [on his property] and then I came to this weekend fresh and ready to attack it and the guys produced a great car. The events of the week were an extension of efforts over the last two years to remove the younger Kelly of responsibility within the business, allowing him to concentrate on his driving. Kelly won the Bathurst 1000 in 2003 and ’04 and the '06 Supercars title while in Clayton-based Holdens, but has enjoyed little success since Kelly Racing started in '09. “We've got the team to a point where we've got great people within the team to run it very well,” Kelly continued. “Nick and Todd and everyone else there have allowed me to do what you've seen today. “You can't compete with these guys (fellow drivers) who are just worried about driving a car when you're doing a whole lot more than that. Asked by Supercars.com whether he had at any point doubted whether he’d win another race, Kelly replied with a definitive “no”. “It just gives you the shits, doesn't it?,” he added. “We've driven really good races and finished outside of the top 10, and had good battles with these guys and a lot of other great drivers as well. “It changes the way you do things a little bit. It makes you more nervous when you're in front so you've just got to get up there and get that out of the way so you can race up there with confidence. “We ticked that box today. We got to the front and raced well, didn't make any mistakes and grabbed the trophy. So it gives us good confidence and there's still plenty for me to improve. “I didn't do a good enough job in qualifying this morning which made me real angry. While brother Todd immediately declared today’s result as more satisfying than his own Bathurst win as a driver in 2005, Rick was more circumspect. 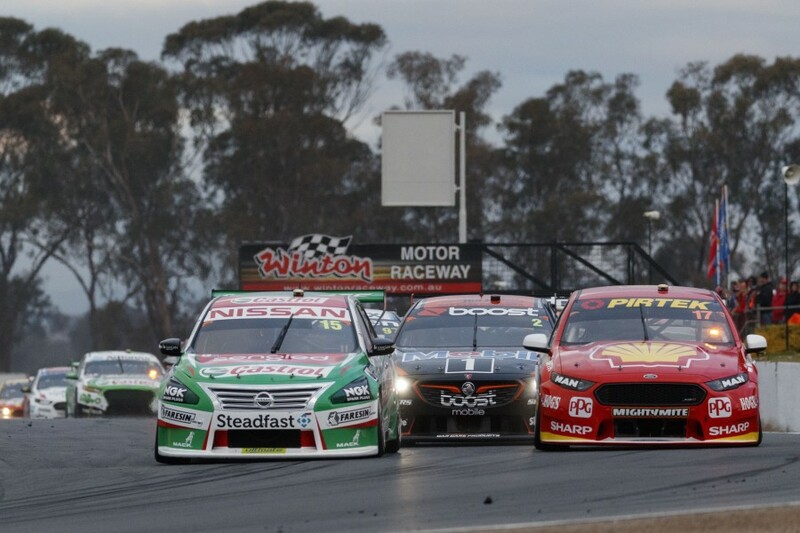 The win came in thrilling circumstances, with Kelly pouncing as Scott McLaughlin slid wide on a restart with seven laps remaining, before holding off Scott Pye to the flag. “I've got to take it in for a little bit before I know how it really feels. There's so much going on in that race,” he said. “You saw Scotty McLaughlin drive away from us and now all of a sudden we're sitting here with a winner's trophy. “It's funny how it all played out. I knew halfway around the last Safety Car lap that there was a fair bit of stuff going on that I was not too comfortable with. “I tried to turn and get a bit of temp in the tyres around [Turns] 7, 8, and 9, and I thought we were going to be in a bit of trouble and then the lights went out. “I'm like, ‘well, I can't do anything now. I can't weave’. I tried to turn aggressively around two corners and again we were in some trouble and fortunately I wasn't the only one.